The internal combustion engine gets a bad rap these days. With electric vehicle technology finally coming to market in meaningful ways, oil prices spiking, global warming looming, and "green" sentiments pervading American culture, motors driven by exploding carbon chains have become something of a pariah. But the truth is that we're stuck with the internal combustion engine, and the petroleum-derived fuels that power it, for the next couple of decades, at least. But that doesn't mean we can't still trim fuel consumption and reduce emissions across the board. Designers large and small are building wholly new engines and components that slash fuel requirements, waste less heat energy, and squeeze the most out of every BTU, every engine stroke, and every iota of chemical energy that physics will allow. Indeed, the internal combustion engine is far from dead. In automotive design shops and university labs across the world the gasoline engine is experiencing something of a technological renaissance. The green thinkers among us need not fear this resurgence of hydrocarbon-burning engines; these innovations aren't just drastically driving down the amount of carbon-based fuel our automobiles might someday burn in a given trip-they are crucial bridge technologies that will help get us to that all-electric, carbon free future as cleanly and efficiently as possible. Most of these are still in the concept stage, awaiting funding or for their prototypes to demonstrate that they are up to the job. 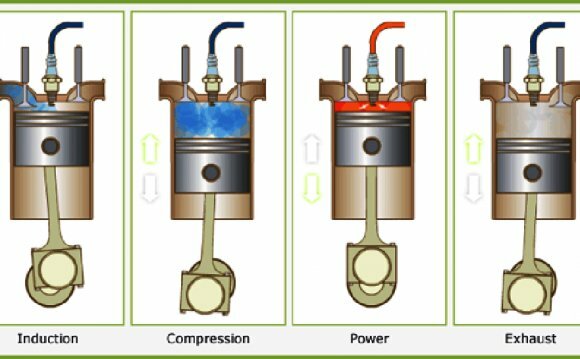 None of them is a silver bullet, but each serves as an example of how internal combustion technology could extract far more from the increasingly costly hydrocarbon chains that they burn, drastically improving efficiency and trimming waste without sacrificing too much of the performance that we've come to demand from our automobiles.